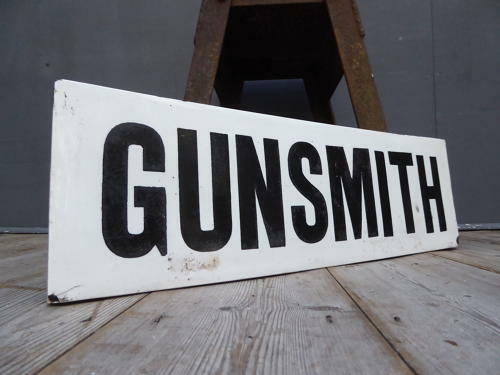 A wonderful early antique Gunsmith sign. A superb & very rare survivor, the thick slab of ironstone / ceramic with broad black lettering & a deep glossy glaze. Very likely a one-off, beautifully simple & a super decorative item. In very good condition with a small chip to each lower corner which does not detract.